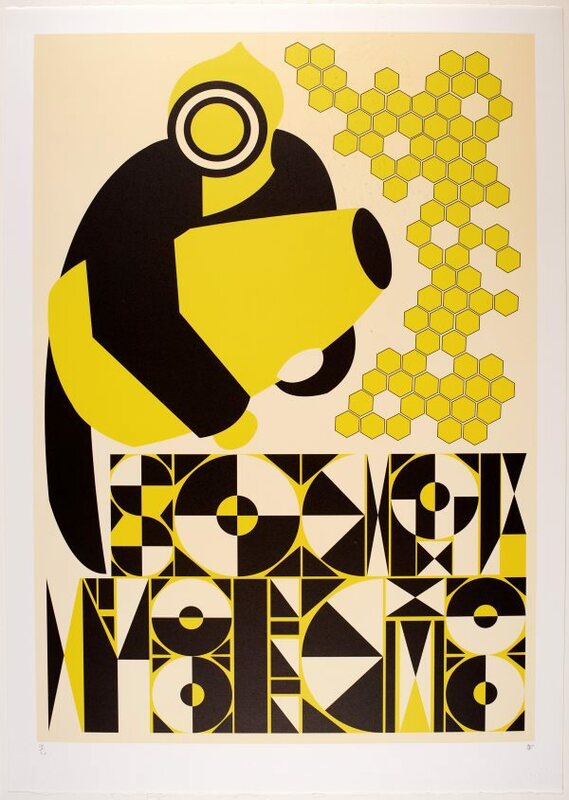 Emily Floyd is inspired by typography and graphic design – as a consequence much of her work has a strong graphic sensibility well-suited to printmaking. She often invents her own fonts in the spirit of avant-garde experimental typography as in Dada, Bauhaus and Constructivism – in these prints the title is included in text that serves as a pictorial device within the image. Editor Unknown (Editor), Art Almanac , Sydney, May 2014, Cover (colour illus. ).